Sleek and versatile, the Acer Spin 5 SP513-52N-58E1 13.3" 2-in-1 Laptop lets you handle productivity tasks or enjoy movies and music with ease, with compact, 2-in-1 letting you choose laptop or tablet mode to suit your needs. The Acer Spin 5 SP513-52N-58E1 13.3" 2-in-1 Laptop has an Intel Core i5 dual-core processor and 8GB RAM for seamless multi-tasking. Equipped with a 256GB SSD, the Spin 5 2-in-1 laptop has ample space to store important files and boots up quickly to minimise wait times. For more storage space, use the built-in microSD card reader. To accommodate multiple devices easily, this laptop comes with one USB 3.1 Gen 1 port, one USB 2.0 port, two USB 3.0 port, and one HDMI port. 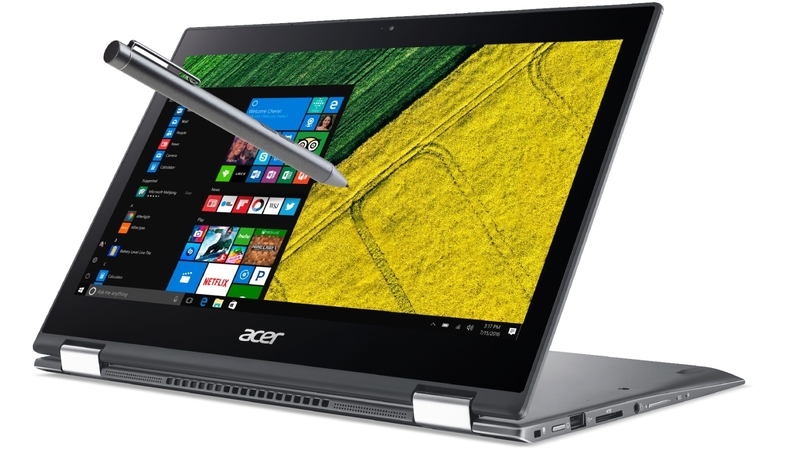 The Acer Spin 5 SP513 52N 58E1 NXGR7SA005 13.3inch Laptop was added to the Laptops category in October 2017. The lowest price GetPrice has found for the Acer Spin 5 SP513 52N 58E1 NXGR7SA005 13.3inch Laptop in Australia is $1,199.00 from R.T.Edwards QLD.